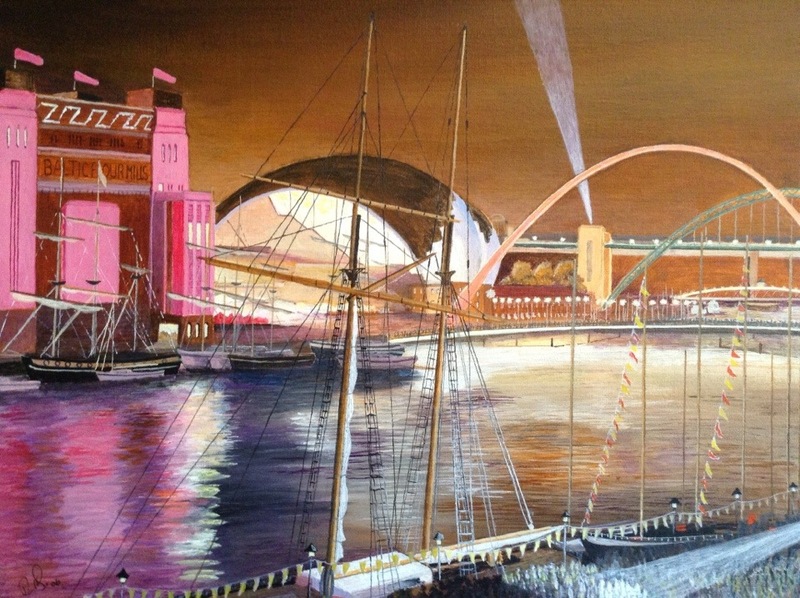 Painted in acrylic this depicts the Tall Ships Carnival spectacular light show, on the River Tyne at Newcastle when it last hosted the Tall Ships race. The Baltic Gallery can be seen lit up in pink. 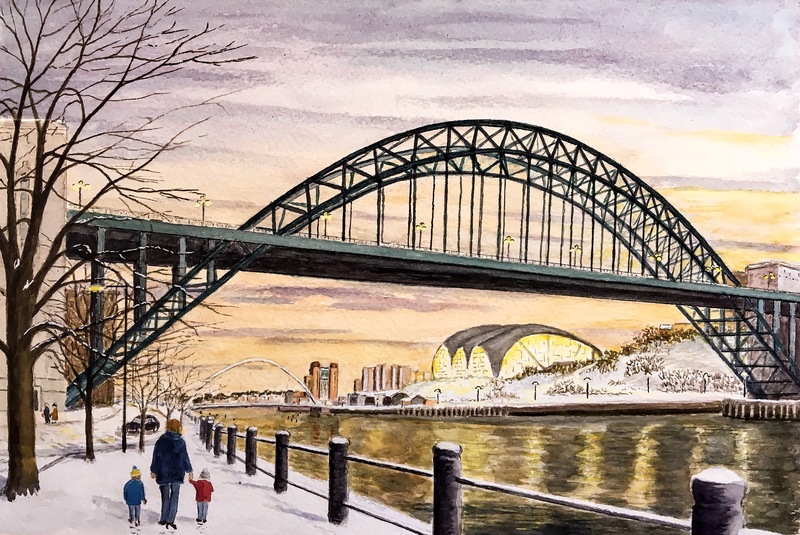 To the right can be seen the ‘Blinking Eye’ Millenium Bridge and The Sage music and conference venue. 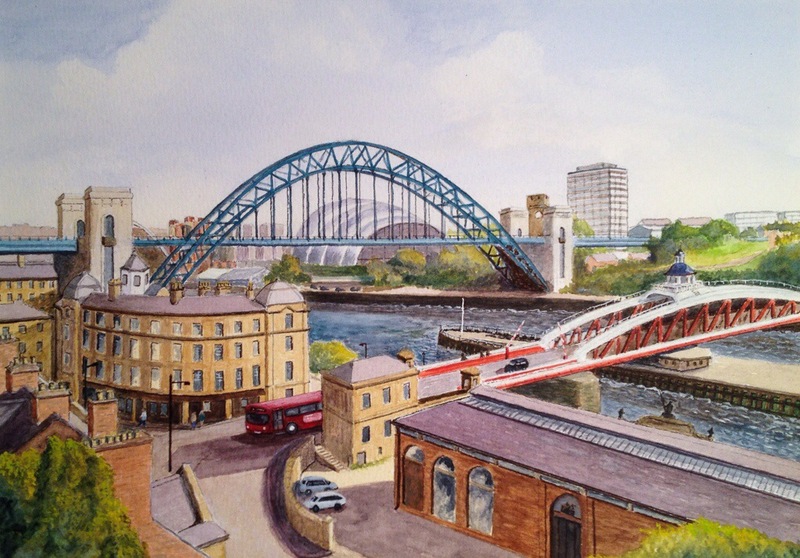 Further right the iconic Tyne Bridge, the Swing Bridge and behind which is the High Level road and rail Bridge. All along the river were moored, various types of sailing vessels.